The first major film noir, “The Maltese Falcon” was directed by John Huston and it starred Humphrey Bogart, Mary Astor, Peter Lorre and Sydney Greenstreet. It was one of the top films of the 1940’s and it’s still very popular among the movie goers. Some posters emphasize the fascination for the infamous bird. 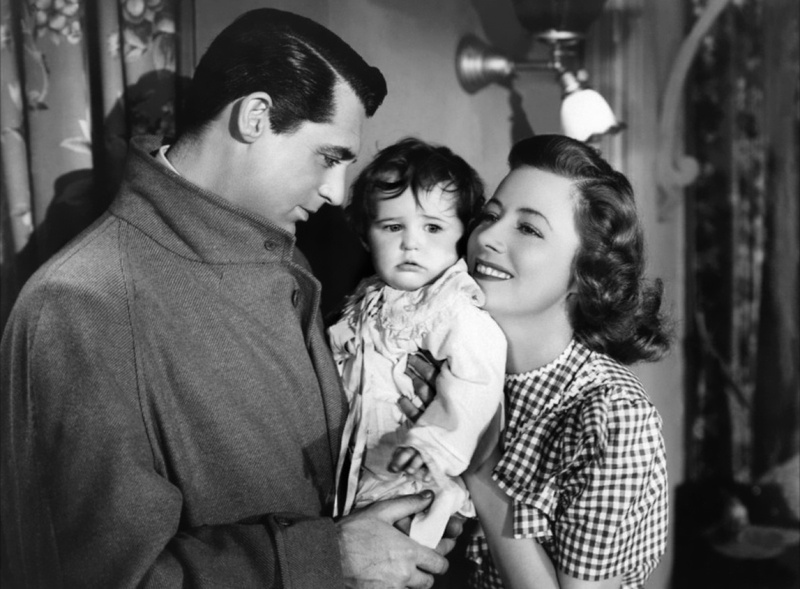 The last of the three films in which Cary Grant and Irene Dunne appeared together, “Penny Serenade” depicts the story of a couple who needs to overcome the tragic moments in order to keep their marriage and raise their adopted child. The plot is developed in flashbacks, as Julie (Irene Dunne) listens to a recording, “You Were Meant to Me”. The songs in the film mark the situations that Julie and Mark (Cary Grant) had to solve in the past, including her miscarriage and his financial collapse. Only in the end are they capable to find a miraculous solution and to save their marriage. “Penny Serenade”, the title of the film, is also one of the songs from the collection of records that could be heard throughout the motion picture. This film is said to be Irene Dunne’s personal favourite because of her own true story with the adoption of a child. It was also adapted for the radio in 1944, Dunne reprising the role. “Penny Serenade” earned an Oscar for Best Leading Role (Cary Grant) and it is considered an important romantic drama, directed by George Stevens, a master of such great films like “Giant”, “A Place in the Sun”, and “The Diary of Anne Frank”. One of the nicest Technicolor achievements of the 1940s, “Blood and Sand” will capture your attention from the very beginning. The film depicts the life of a famous bullfighter, Juan Gallardo, who is doomed to have a tragic destiny as soon as he reaches stardom. 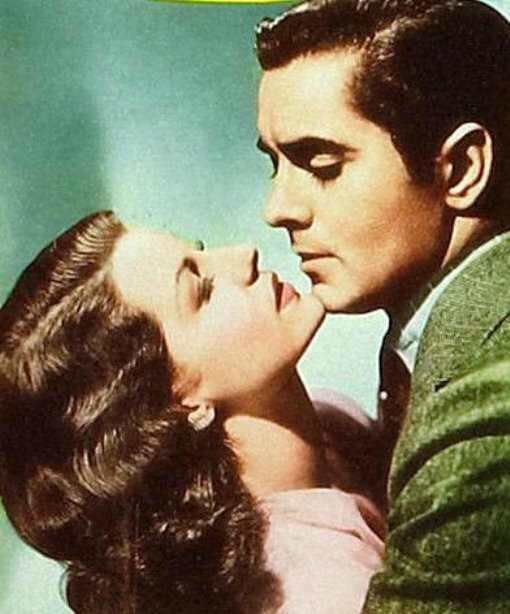 Tyrone Power is in the leading role and he plays to perfection a man torn between the love for his wife and the passion for his lover, but also between the quiet family life and the demanding career, that later ruins his existence. Despite his glorious years, Juan knows very well what is the immediate fall after the rise. 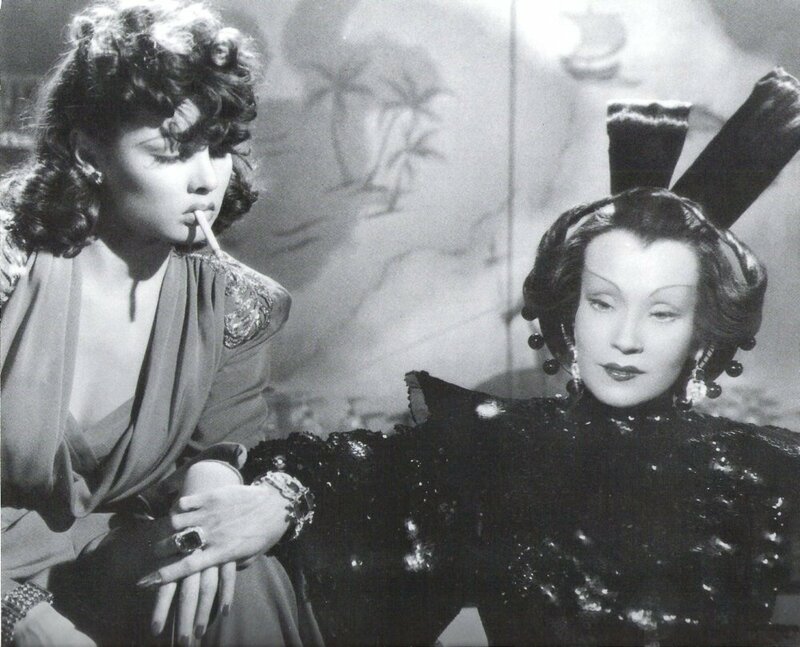 His tormented destiny is worsened after he meets a femme fatale, the exotic Doña Sol, who is masterfully played by Rita Hayworth (the director Rouben Mamoulian himself said in an interview that Rita was his choice, because she was perfect for the part). On the other side, Juan is still very much in love with his gentle wife, Carmen, played by the beautiful Linda Darnell. Unfortunately, he puts an end to his relationship with Doña Sol much too late, the moment when his life seems to be compromised. His wife’s forgiveness and faith in Saint Mary can’t help him any longer. He dies in apparent glory, at a young age – certainly the price he had to pay for all his sins. “Blood and Sand” was a successful production, that earned an Oscar for Best Cinematography, Color, and a nomination for Best Art Direction-Interior Decoration, Color. It was filmed very nicely and all the stars (including the veteran Nazimova as Juan’s mother) gave a wonderful performance. I highly recommend you to watch this film also because you will get to see a memorable dance number of Rita Hayworth and Anthony Quinn. As a matter of fact, this film is a “must” for all the fans of Rita Hayworth and not only, so whenever you have the chance to find it, don’t hesitate to watch it. I was very impressed by the movie “The Little Foxes”. First, the interesting play by Lillian Hellman about a ruthless clan from 1900 in a small town in Alabama. Second, the extraordinary performance of Bette Davis in the leading role of the evil Regina Giddens. She was simply terrific, as if the part were made for her. I don’t know how it was Tallulah Bankhead’s performance in the original Broadway production, but I think that Bette Davis was the best choice for the screen version. Third, the direction of the gifted William Wyler, who directed Bette Davis in other great successful films, “Jezebel” and “The Letter”. 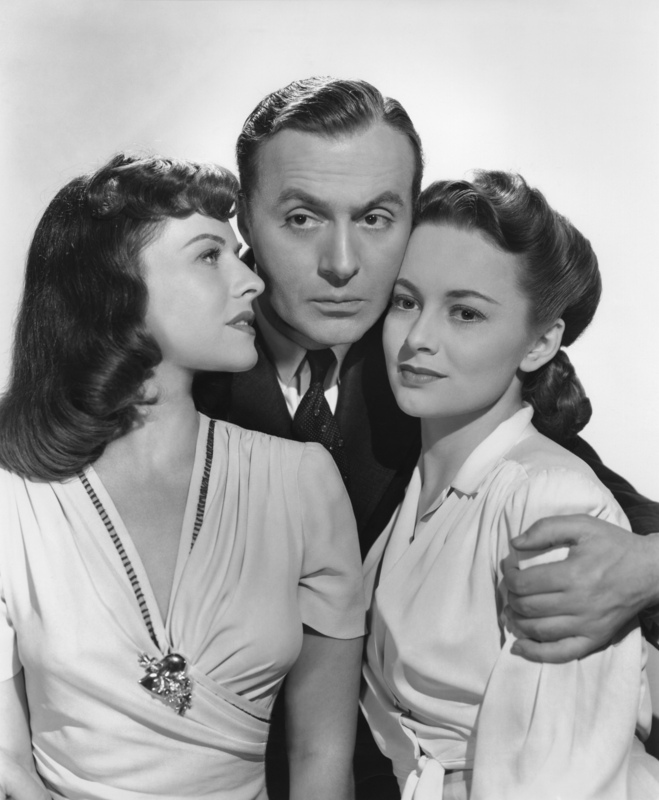 Fourth, the great cast, which also includes Herbert Marshall as Horace Giddens, Regina’s husband, and Teresa Wright as Alexandra Giddens, their daughter. 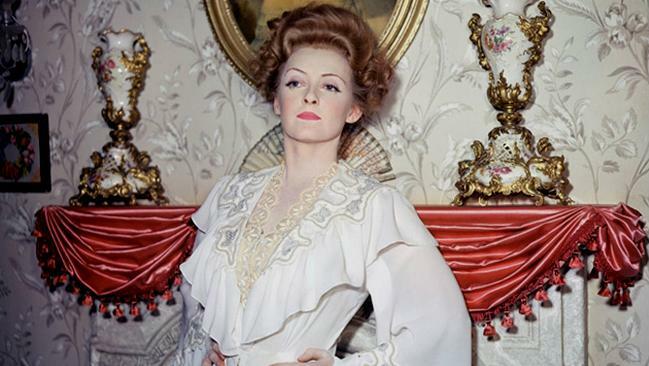 “The Little Foxes” seems like a theatrical play made for the big screen. It is not a typical American film. In some way, it resembles the British films, which are superior to the American films when it comes to acting. This motion picture of the Samuel Goldwyn Productions received 9 Oscar nominations, for Best Picture, Best Actress in a Leading Role (Bette Davis), Best Actress in a Supporting Role (Teresa Wright and Patricia Collinge, who appeared together also in Hitchcock’s “Shadow of a Doubt”), Best Director, Best Writing, Screenplay, Best Art Direction, Best Film Editing, and Best Music. The scenes I liked the most were the ones that involved Bette Davis and Herbert Marshall. They were both superb in the moments where they exchanged ironical and poisonous words. Also their facial expressions, which revealed Regina’s cruelty and Horace’s great pain, were impressive to me. I felt as if I were watching a play at the theatre. Rarely did I see such masterful performances gathered in a single Hollywood film. Others that come to my mind would be “Gone With The Wind”, “Grand Hotel”, “Casablanca”, “The Best Years of Our Lives”… I highly recommend you to watch “The Little Foxes”, another piece of artistry wonderfully made in the land of films that is Hollywood. 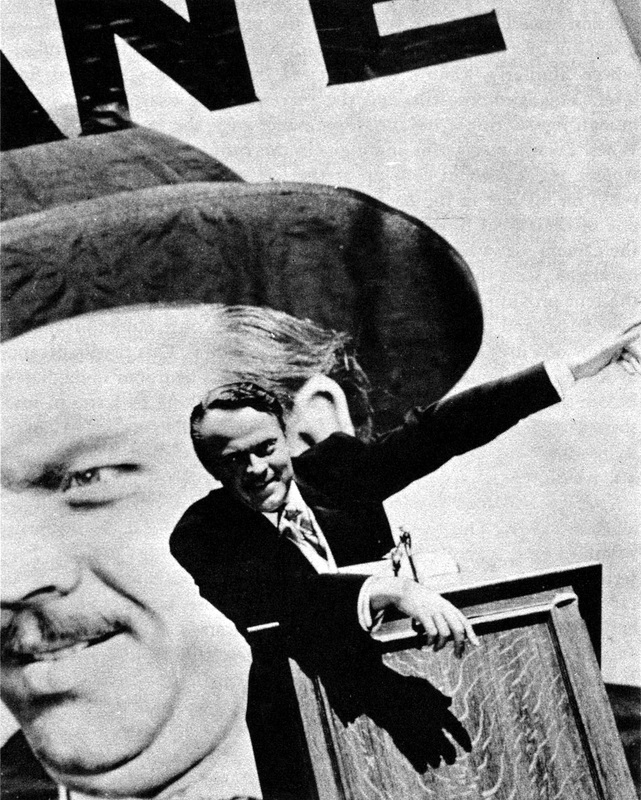 “A Woman’s Face” provided Conrad one of his favourite roles. “I am Lucifer in a tuxedo”, he said after playing the evil and dashing Torsten Barring. Many women fell in love with Connie after seeing him in this film, because he is diabolical and, at the same time, very handsome. He is the incarnation of the attractive danger and suave villainy. His co-star is the fine actress Joan Crawford, and they make a very interesting pairing (they worked again together two years later, in “Above Suspicion”). 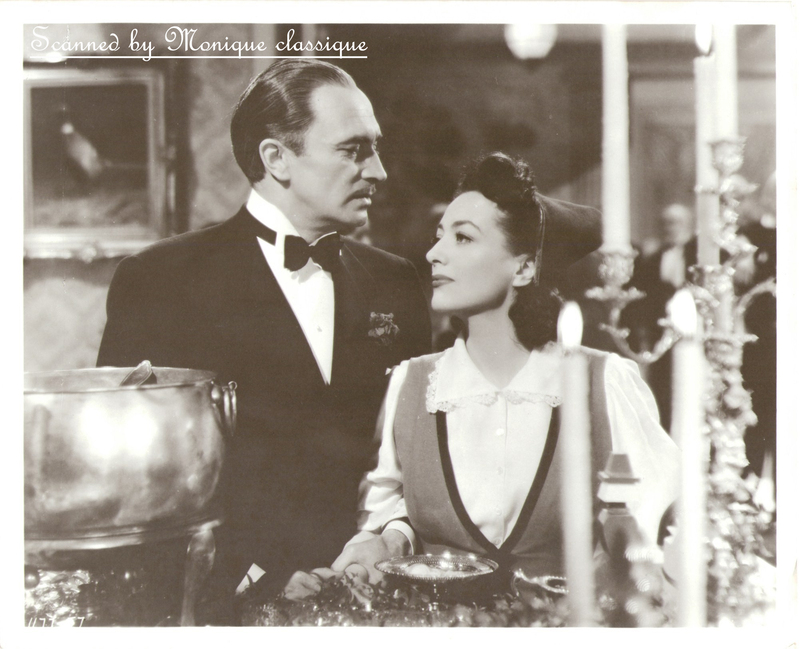 In this film, directed by the great George Cukor, also appears the veteran German actor Albert Bassermann, who also played with Connie in “Escape” and “Lucrezia Borgia”. Bassermann, like Connie, had enough of the Nazis and of their hatred against the Jews, so he, too, emigrated from Germany and went to Hollywood. I dare to say that “A Woman’s Face” is Conrad’s greatest achievement in the American film industry. It is obvious that he trully enjoyed to portray Barring, and his physical change is also visible. There were moments when Cukor asked him to refrain from the expressionistic overacting because he was going too far with it. After all, they were in America, not in the silent cinema of the Weimar Republic. Conrad is perfect from the beginning to the end, and he trully deserved an Academy Award for Best Actor. As we are celebrating this week the centennial of Vivien Leigh’s birth, I was thinking that the suitable recommendation would be one of her best-remembered films, That Hamilton Woman (1941), her third and last motion picture in which she co-starred with Laurence Olivier, the love of her life. This majestic production of Alexander Korda was, actually, a propaganda film during WWII for the benefit of Great Britain. Not surprisingly, it was a personal favourite of Prime Minister Winston Churchill, who used to watch it many times. That Hamilton Woman tells the true love story of Emma Hamilton, the wife of Sir William Hamilton, British ambassador in Naples, and Lord Nelson, the legendary historical English figure who confronted Napoleon Bonaparte in the famous Battle of Trafalgar. Aside from the spectacular sets and costumes (especially the outstanding dresses that Vivien Leigh wears throughout the film), That Hamilton Woman has a haunting musical score, composed by Miklos Rozsa (a frequent collaborator of Alexander Korda). The film won an Oscar for Best Sound, and it was nominated for other three awards, for Best Cinematography, Best Art Direction, and Best Effects. The sea battles are superbly illustrated, but no one could possibly forget the memorable love scenes between Vivien Leigh and her husband, Laurence Olivier, in their iconic roles. That Hamilton Woman is a remake after the German silent film version from 1921, Lady Hamilton, with Liane Haid and Conrad Veidt. There are many similarities between these two films, but, of course, the 1941-version is technically superior and sufficiently modern even for these days. 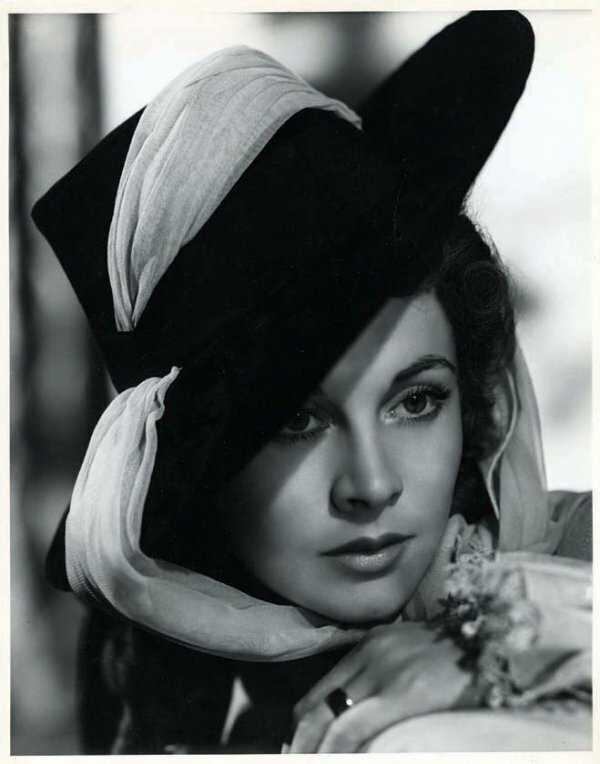 That Hamilton Woman was amply publicized around the world, and there are many sets of publicity photos, the most fascinating being the numerous lovely portraits of Vivien Leigh as Emma Hamilton. Considerat de AFI cel mai bun film realizat vreodată (o exagerare, din punctul meu de vedere), „Cetățeanul Kane”/Citizen Kane (1941) a fost produs și regizat de Orson Welles, un maestru al celei de-a șaptea arte. Pelicula, ce a câștigat premiul Oscar pentru cel mai bun scenariu original (Herman J. Mankiewicz și Orson Welles) și a fost nominalizată la alte opt categorii (cel mai bun film, cel mai bun actor, cea mai bună regie artistică, cea mai bună regie, cea mai bună cinematografie, cel mai bun montaj, cea mai bună coloană sonoră și cel mai bun sunet), prezintă povestea magnatului media Charles Foster Kane, în multiplele sale ipostaze, de la copilărie la bătrânețe, de la glorie la decădere, de la extaz la agonie. Un om ambițios, colecționar excentric dar, mai presus de toate, o personalitate extrem de complexă și de egoistă, Kane a căutat toată viața să primească dragoste și respect din partea oamenilor, militând prin ziarul său Inquirer și prin radioul său pentru cauzele clasei muncitoare, ale oamenilor simpli, ajungând să fie chiar în poziția de candidat pentru funcția de guvernator. Kane a fost suveranul unui domeniu de o valoare inestimabilă – Xanadu – un loc enigmatic, rupt, parcă, de restul lumii. Dar a fost și un om cu slăbiciuni, înșelându-și una din soții (nepoata președintelui SUA), aducând-o în culmea disperării pe a doua soție (care a încercat să se sinucidă) și concediindu-și vechiul partener, alături de care a relansat ziarul falimentar Inquirer. Filmul e povestit din flash-back și este reconstruit asemeni unui documentar sau unei știri ample de presă. Este interesant că am sesizat chiar o paralelă între Charles Kane și Dan Diaconescu (un Kane la scară mai mică). Amândoi au încercat să transforme mijloacele lor de comunicare în masă într-un mare succes, prin scandaluri și specularea unor evenimente mondene, făcând avere din aceasta. Amândoi au căutat cu orice preț simpatia publicului și au pretins că militează pentru „binele poporului”; ambii au cochetat cu politica, declarându-se învingători categorici în alegeri, când, în realitate, au fost învinși; amândoi reprezintă acea categorie de oameni excentrici, care vor să epateze prin posesiunile lor – imobile luxoase, mașini scumpe și alte proprietăți valoroase; amândoi au încercat să intre în grațiile oamenilor politici de prim rang și amândoi au fost capabili să își trădeze prietenii și colaboratorii pentru a-și atinge scopurile. „Cetățeanul Kane” este o capodoperă datorită tehnicilor originale de filmare și de editare, ce au revoluționat lumea cinematografică, dar și datorită scenelor inconfundabile – în special cea din discursul rostit de Kane în campania electorală de anvergură; acesta va rămâne un film de actualitate atâta timp cât lumea media va continua să fie o mare putere și să ghideze viețile oamenilor. Pentru că Cetățeanul Kane este un personaj remarcabil, un mit extrem de credibil și foarte bine conturat, ce poate fi așezat în galeria marilor personaje din istoria cinematografiei (și din afara ei), ca Scarlett O’Hara, Rhett Butler, Lawrence al Arabiei, Cleopatra, Becket, regele Siamului, Hamlet, Ben-Hur, Moise, Cidul ș.a. Un film captivant, ce ilustrează fidel o societate coruptă, plină de vicii, The Shanghai Gesture a reunit actori de valoare de la Hollywood, printre care minunata Gene Tierney și venerabilul actor Albert Bassermann. Acțiunea este complicată și este nevoie de o atenție sporită pentru a înțelege scenariul. Decorurile și costumele sunt fascinante, iar filmul ne revelează misterele unui mare cazinou, pe fundalul unei locații exotice: Shanghai. Există o multitudine de secvențe memorabile în această producție hollywoodiană, nominalizată la două premii Oscar, pentru cea mai bună regie artistică și cea mai bună coloană sonoră. Filmul, regizat de maestrul Josef von Sternberg, este o adaptare după piesa de teatru omonimă a lui John Colton, care a fost jucată pe Broadway în anii ’20. Poate prezența cea mai frapantă este cea a Onei Munson (interpreta lui Belle, din „Pe aripile vântului”). Machiajul, coafura și costumele acesteia sunt unul din multiplele elemente care îți rămân în minte după un asemenea film. 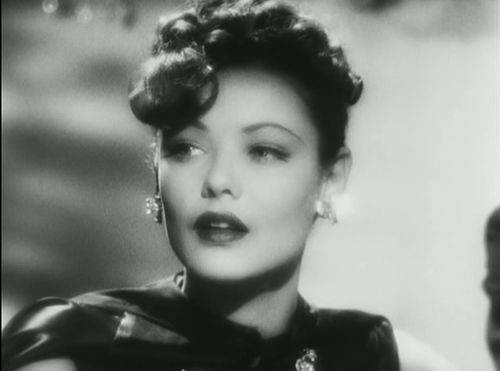 Dar, la fel de importantă este și prestația tinerei și superbei Gene Tierney, care strălucește într-un rol dificil și complex, frumusețea ei fiind pusă în evidență de unghiurile de filmare și de rochiile elegante, create special pentru ea de soțul său, Oleg Cassini. Vă invit, așadar, să vizionați această peliculă ce se înscrie în curentul filmelor noir ale anilor ’40. Filmul Johnny Eager este o realizare a MGM, marca Mervyn LeRoy. După succesul amândurora cu splendidul film „Podul Waterloo” (1940), LeRoy i-a găsit lui Robert Taylor o producție cu gangsteri, ce-i drept mai puțin inspirată. Cel mai interesant aspect este relația amoroasă dintre Lana Turner și Robert Taylor, care a existat și dincolo de ecran. Taylor a fost atât de îndrăgostit de partenera sa, încât era dispus să divorțeze de soția lui de la acea vreme, marea actriță Barbara Stanwyck. Când aceasta din urmă a amenințat cu sinuciderea, Lana a renunțat la Robert, nedorind să își complice viața și nici să aibă pe cineva pe conștiință. Johnny Eager a fost un adevărat film noir al anului 1941, iar Van Heflin a câștigat un Oscar pentru cel mai bun actor în rolul secundar, pentru rolul prietenului alcoolic al lui Johnny. Deși Lana e departe de a fi blonda platinată periculoasă, ca Jean Harlow, iar Robert Taylor este o copie relativ palidă a lui Clark Gable, pe vremea când și acesta făcea filme cu gangsteri (a se vedea, printre altele, Manhattan Melodrama), totuși e interesant de savurat acele momente romantice trăite profund de doi tineri frumoși ca Lana Turner și Robert Taylor. Există numeroase poze publicitare cu acest cuplu, studiourile speculând la maximum orice sursă de reclamă. Recomand să vedeți Johnny Eager, pentru că este o realizare bună a maestrului Mervyn LeRoy, iar scenariul, scris de James Edward Grant și John Lee Mahin, este original, modern și reprezentativ pentru acei ani tumultoși din timpul războiului, când împușcăturile dintre gangsteri păreau joacă de copii pe lângă carnagiul de pe câmpurile de luptă.